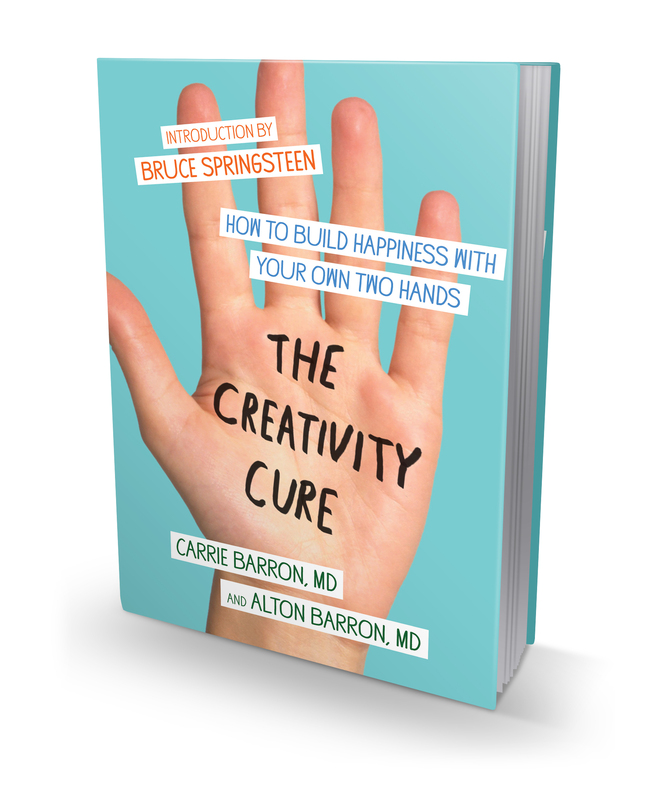 The Creativity Cure - Carrie Barron M.D. In The Creativity Cure: How To Build Happiness With Your Own Two Hands husband-and-wife physicians Carrie and Alton Barron draw upon the latest psychological research, a combined forty years of medical practice, and personal experience to reveal that creative action is integral to easing depression and anxiety and to fueling wellbeing. The need to create—to produce something using our minds and hands—is fundamental. It connects us to our inner selves and to our environment and offers the deep satisfaction of accomplishment. But too often, in our technology driven, fast-paced society, we neglect this need. Creative processes facilitate insight and healing, connect our mental and physical selves, supply satisfaction and meaning and thereby enhance everyday life. You need not be an artist or writer or musician—though one never knows—to take creative action. The Creativity Cure can be used by anyone, no experience necessary. It is not about making art or being an artist, but rather mining the opportunities in your midst.